Time Warner has a piracy problem: Game of Thrones and Westworld, broadcasted by its HBO subsidiary, and The Flash and Arrow, superhero shows on the CW network - which it jointly owns with CBS - ranked among the five most illegally downloaded television shows in 2016. Perhaps it should emulate its new film strategy. The media giant's studio business, Warner Bros., hopes to clamp down on piracy of movies by making them available on its streaming platforms sooner after their theatrical release. "It's really about giving consumers what they want, because if we don't give it to them, they're going to go to the pirated version", said chairman and CEO Kevin Tsujihara on a recent earnings call. Time Warner's boss highlighted that in the film business, a "disproportionate share of the revenue's going to the bigger movies" and "the middle of the market...has gotten extremely tough". Therefore, the company is initially looking to make adult dramas that have underperformed in theatres - such as The Nice Guys and Live by Night - available for on-demand viewing sooner after their theatrical release. The challenge is to do so without cannibalising cinema revenues. The strategy is designed to address the trend of consumers only watching blockbusters such as The Avengers: Civil War and Interstellar in cinemas, where the visual and auditory experience justifies the expense. They often have to wait months for more staid dramas to appear on Netflix and Amazon Instant Video, spurring some to pirate them. By releasing the titles for home viewing sooner, Time Warner hopes to discourage the latter behaviour. Television is arguably a different story, as consumers don't face the extra cost and hassle of hoofing it to the cinema. Moreover, they can sign up to Time Warner's on-demand service and watch Game of Thrones or Ballers on the same day they're aired. Indeed, Time Warner recently partnered with Amazon to make its shows available to a much larger audience. Then why is piracy still a problem for Time Warner, beyond people's stinginess? One reason is that it doesn't license its most popular shows to the likes of Netflix; it offers them on its own streaming platforms: HBO Go, free to HBO subscribers, and HBO Now, which US consumers can access for a flat fee. Another is that overseas fans can only legally access its content if they pay for pricier services such as Sky TV. The obvious solution to stamping out piracy would be to shut down illegal streaming and torrenting websites. But they're often hosted overseas, frustrating legal action. And when one is shut down, it's quickly replaced. In an ideal world, Time Warner could offer a rich library of its movies and TV shows around the world at an affordable price - the Netflix model. 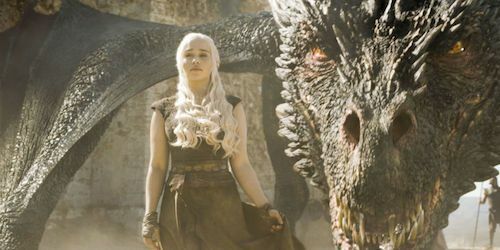 People would probably be willing to pay a similar monthly fee to tune into the latest episode of Game of Thrones in high definition soon after its broadcasted, or be able to watch blockbusters and dramas before anyone else. The problem is that Time Warner has licensed out its content to international partners such as Sky. Its best bets would be to either scrap its streaming services and license its shows to Netflix or Amazon Instant Video as licensing deals come up for renewal, or gradually build up HBO NOW as a global competitor, potentially adding Warner Bros. movies and its CNN, TBS and TNT networks to create an unrivalled entertainment platform. In a world of on-demand viewing and cable-cutting, Time Warner needs to get with the programme.